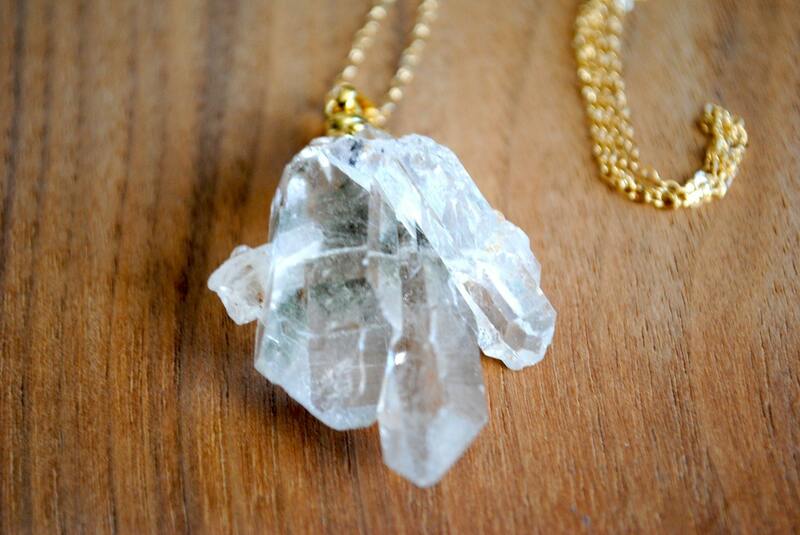 ⊿⊿ This necklace features a beautiful genuine raw crystal quartz cluster that is topped in gold plating and it hangs from a delicate 30" genuine 14 karat gold filled chain. It closes with a spring ring. This is the only length it comes in. ⊿⊿ I have several of these available. Refer to the last image and make your selection at check out. The pendants are about 1 1/2" to 1 3/4" in length and 1" in width and each is unique and one of a kind and will feature natural variations and imperfections - all organic to the raw nature of the stone.